None of us have gotten to where we are in life without other people. I was first educated and exposed to racial justice issues by an African-American history professor, Leslie Patrick. Her compassion and patience nurtured me in my early development as an activist. Despite having educated thousands of students before me and experiencing racism, discrimination, micro-aggressions and bearing the weight of an overwhelming oppressive system, Professor Patrick found a way to support me in learning what she had known all her life. I carry Professor Patrick in my heart wherever I go and do this work hoping to live up to her example of compassion and patience. My family, in many ways, isn’t different from any other family. We’ve had our triumphs as well as many struggles. I am because they are. My family members have been on the receiving end of all my varied approaches of activism and advocacy. Waking up the reality of a race-based society doesn’t always look pretty. I was angry and directed that anger at the people closest to me who were just as clueless about racism as I had once been. I am so grateful, that despite my sometimes funky approach, my family has stood by me. My parents have begun doing some anti-racist organizing of their own and are much more open to the urgent need for attention to racial justice. We are all on this journey and we are all needed. I want to make it clear that anything I say on racism has been said before by a person of color. While it is imperative for white people to work with each other in undoing this racist set-up, we must remember that people of color are living the experience of racism daily. I have learned everything from the many, many people of color who were willing to share their story, educate me, or just be my friend – especially when history proves it to be dangerous for people of color to interact with white people. I lift up all the people of color in my life (past, present and future) who take the risk to teach me. I hope that by doing this work I can chip away at the system that creates such danger for those who have nurtured and educated me. The People’s Institute of Survival and Beyond has one of the best analyses on racism and how to undo it. My life has transformed after attending the Undoing Racism and Community Organizing workshop. For anyone who wants a clear analysis and who is serious about doing this work, this workshop is a required experience. 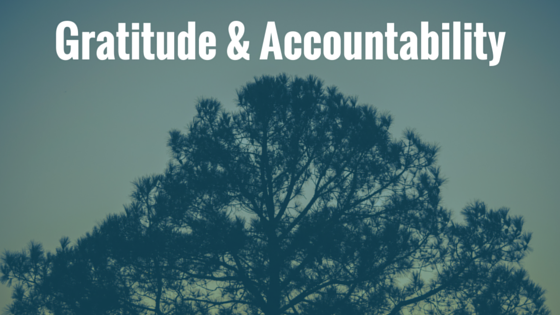 Like many white allies (or co-conspirators), I struggle with accountability. I think it may be something with which I always struggle. And that’s okay. These aren’t easy, fun issues and there are no perfect solutions. I’m committed to constantly reviewing and revising my accountability so that I do not re-create an oppressive dynamic that I am working to end. The Growing Edge gives back a percentage of all its profits to the People’s Institute of Survival and Beyond. It is with hope that this percentage can grow as our work does and that the work of The People’s Institute will be supported and sustained by all of us who are working to undo racism. In the interest of making our work as accessible as possible, we also may offer a sliding scale for individuals who are not able to afford the entire fee for some of our programs. Please contact us here to discuss a sliding scale fee.